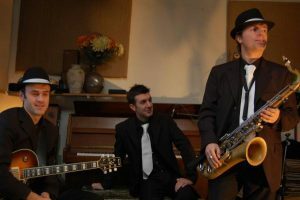 Silk Street new generation early jazz band for hire. Featuring young players the ensemble acknowledges & reflects on the past whilst creating a contemporary sound. 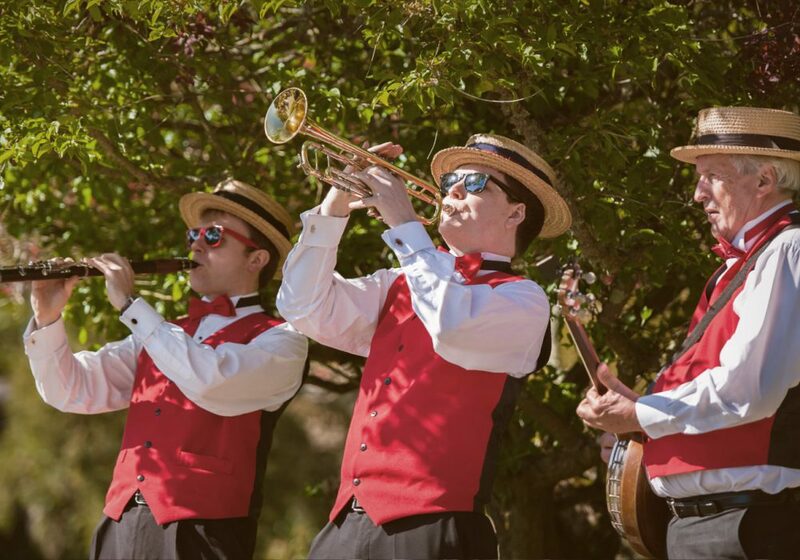 Everyone involved with Silk Street is passionate about making your event a success by delivering a musical experience that is full of flair, excitement and enthusiasm. 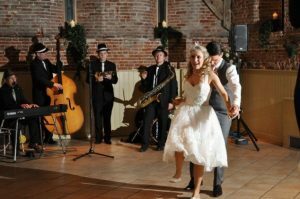 Silk Street offer a variety of line-ups to suit every budget, every venue and every occasion. From The Hot Duo that is perfect for mix ‘n’ mingle, through to The Hot Seven which is the ultimate choice for creating a timeless impression. 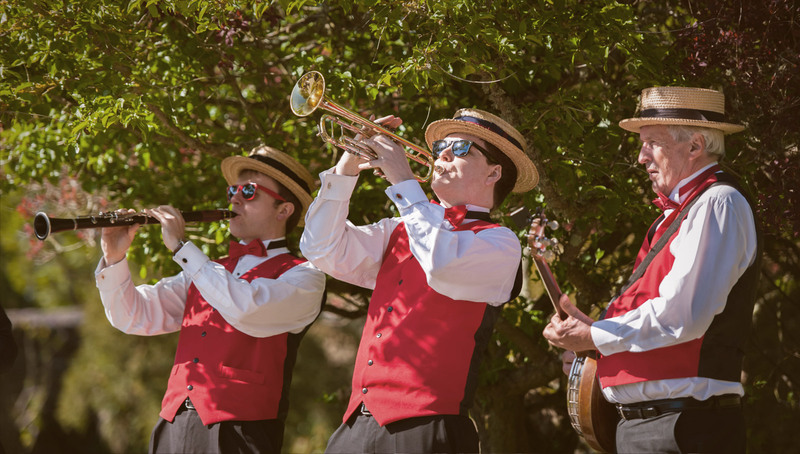 From a Christmas Band where Santa hats replace boater hats and festive decorations are added to the instruments to a Dance Orchestra who perform original arrangements of classic numbers from the roaring 20s. 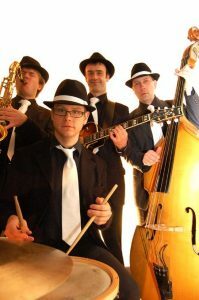 Add to this a Swing Band offering relaxing ballads, cool bossa novas and up-tempo versions of the rat-pack repertoire and you have group who are the ideal choice whether you are having a wedding or civil ceremony, a river cruise, a corporate event or a private party, a funeral or a store opening! 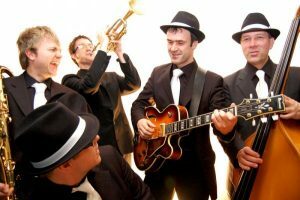 Formed back in 2003 as a new generation dixieland band, Silk Street offer a fresh alternative to other forms of jazz entertainment. 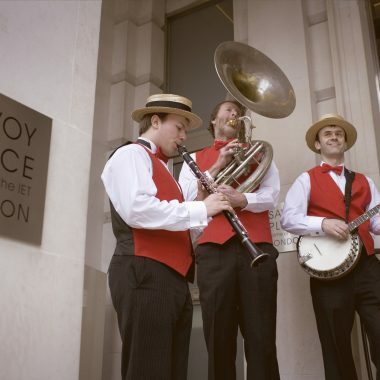 All members are full time London professionals and some of the leading musicians in their field. They have recorded extensively for TV and Film, including programmes and commercials for the BBC and Channel 4, recording at both Abbey Road and Pinewood Studios. Appearances on ‘The F Word’, CBeebies ‘Zingzillas’ and a ‘Big Brother’ advert have helped to raise the profile of the group. The band has performed for Her Majesty The Queen, Robert Smith (The Cure), Gordon Ramsay, Ray Winstone, Sir Ian Botham, Paul O’Grady and Cilla Black. Looking for Christmas entertainment? Jingle all the way with the Silk Street Santas! If you want fun, festive entertainment for your Christmas party, work Christmas ‘do’ or Christmas themed event then look no further. 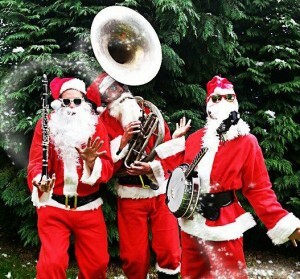 Silk Street Jazz is excited to bring you the Silk Street Santas, a special Christmas jazz band to help you celebrate the festive season with your friends, family and colleagues. 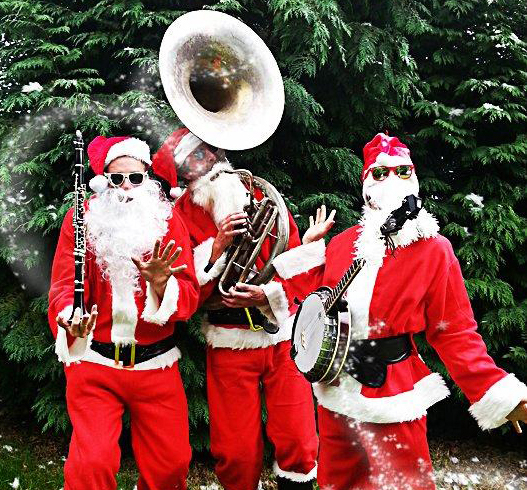 The Silk Street Santas play festive tunes in an evocative New Orleans jazz style, whilst dressed as Santa! 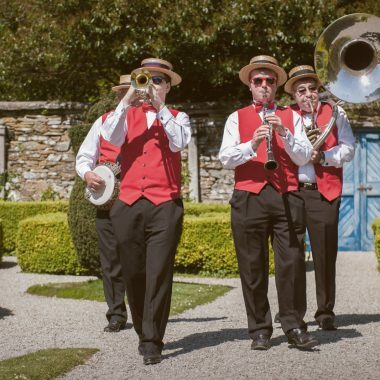 They will entertain your guests with jolly Christmas classics such as White Christmas, Rudolph the Red Nosed Reindeer, Frosty the Snowman, Jingle Bells, Silent Night, Rockin’ Around The Christmas Tree and Winter Wonderland.